I started playing with websites back in 2003. I was in secondary school and Internet was relatively new to Somalia. It arrived in 1998-99 but only very few people had internet in their homes. Luckily there were internet cafes and I was introduced to this guy who owned an internet cafe. He had a large collection of Somali music and wanted to upload to somewhere so he could share with other people. I put together a GeoCities website using Microsoft FrontPage. The site I built was literally a blank canvas with marquee at the top and links to the mp3 files. The rest of the page was filled with animated gifs of waving flag, rotating globe and glittering stars. I kept fiddling with FrontPage’s WYSIWYG tab. Every time I add new element to the visual tab I would immediately switch to the HTML tab and see how the generated code would look like. I have managed to teach myself some HTML this way, but I was still very uncomfortable with coding. After a while, I moved to Addis Ababa, Ethiopia and suddenly I had plenty of time so I decided to buy a web design book. It was basically an HTML tutorial and it helped me code table-based layouts without using a visual builder. This led me to discover CSS, PHP and, among other things, WordPress. I would install and test almost every PHP-based CMS out there: Mambo, Joomla, Drupal and few others but I settled with WordPress. WordPress was always user friendly and anyone with half-decent knowledge in HTML and CSS could open Kubrick (default theme until 2010) files in text editor and whip out something unique. It was around this time that I started to take freelance projects. My first WordPress project helped me buy a decent laptop, and suddenly other projects started to come. Most of my clients were people in Europe and United States. Getting paid was initially difficult. Most of international payment systems didn’t work in Somalia until very recently. PayPal’s strict policy meant payment was one-way street: you can make payments but can’t receive or withdraw anything. I managed to team up with someone in another country and we opened a shared account where we could receive the payments. My business partner would then transfer my slice to my local bank account. Things changed recently and although PayPal is still not an option, freelancers can get paid via international bank transfer or Payoneer. My experience with open source in general and WordPress in particular had positive impact in my life. 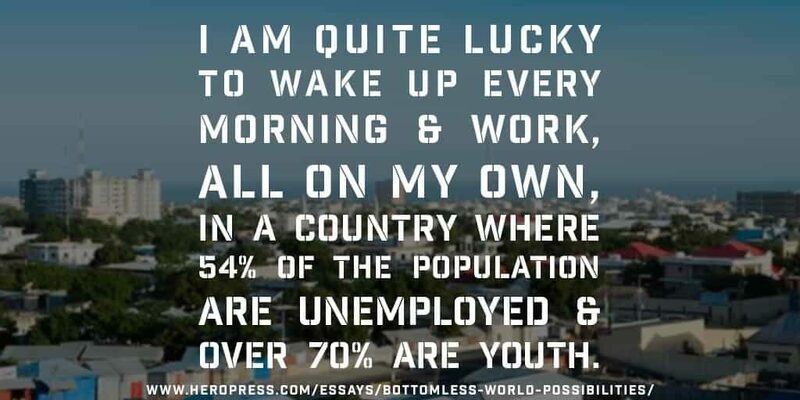 I am quite lucky to wake up every morning and work, all on my own, in a country where 54% of the population are unemployed and over 70% are youth. This has prompted me to seek ways help other people to get into open source, creating hobbies and jobs for many young people who have a lot of time in their hands to learn, contribute and work with open source software. Although the Internet keeps crushing physical borders and bureaucracy policies it doesn’t mean opportunities will magically come knocking on people’s doors. However, the advantage of investing in skills that allow the individual to go remote and tap a global market of design, development, copywriting or blogging, is that the individual is not dependent on the demand of the local market. Another advantage is that it helps the person connect to thousands of like-minded people from worldwide, whom you learn from and contribute to. It’s a bottomless world of possibilities. 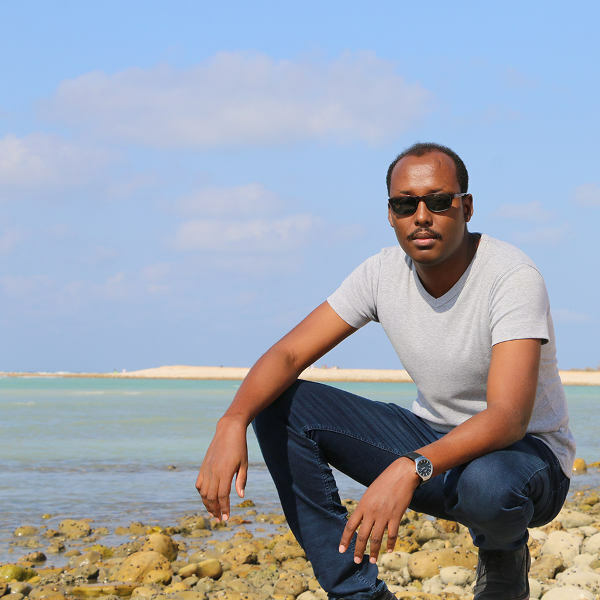 I have recently talked to few WordPress developers from different parts of Somalia and we were trying to figure out how we can organize a WordPress related event, preferably WordCamp Somalia. We didn’t set out time yet but it’s in our plans. Hopefully in 2018. I think you should definitely get a WordPress Meetup started. Have you seen the Make WordPress Community site (https://make.wordpress.org/community/)? The good folks there can assist you in getting something started. All the best! I heard many stories of people having problems when it comes to getting paid. I can’t blame online payment systems because most of the non-western countries have incompatible financial regulations and these companies do not want to jeopardize their businesses. I will definitely check out the Make WP Community site. Thanks for the recommendation. Your story is inspiring. Did you folks get to start the WordPress community yet. Looking forward to your WordCamp. Kudos to you for overcoming a seemingly insurmountable economic situation. You are a bright fellow. I wish for you all the best! Many here in America whine about the difficulties of finding work rather than apply themselves, as you have, to out-of-the-box opportunities. Those opportunities abound but they require a change of thinking and a willingness to learn challenging new skills. You are a fine example of doing that. Give yourself a big pat on the back! Interesting and inspiring startup story, You can touch top of the roof. However I did found out about System that may help you called transferwise, have you heard about it?